If you have an Android phone with Android 7.0 and newer, you can turn your smartphone into a physical security key. A security key is a way of verifying that you, and not someone else, is trying to sign into your account. There are various methods to secure yourself online - with a code sent by SMS or email and even with Google's popular 2 Step Verification, where you set up the authenticator app, which generates a code every 30s. There are also physical security keys, such as Google's own Titan security key. Well now you can turn your smartphone into such a key. You need to be running Android 7.0 or newer, to have your Google Account set up on the phone and to have Google's 2 Step Verification active. Then every time a browser or a device wants to log into your Google Account, you can verify it's you with your phone. 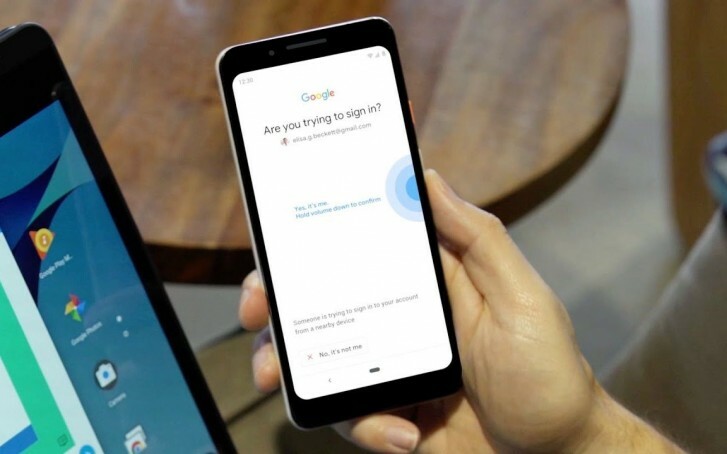 Android Q will come with native support for 3D Touch-like feature called "deep press"
It's just to enable "Internal App Sharing" for actual developers in the Play Store's settings. Still is more secure than IOS ever will be. Just look at the blackberry or Vertu phones using android. Has anyone noticed that you can unlock the developer options also from Play Store settings in android Pie ? Tap on the play store version many times, it will act like when you tap 7 times on the build number..